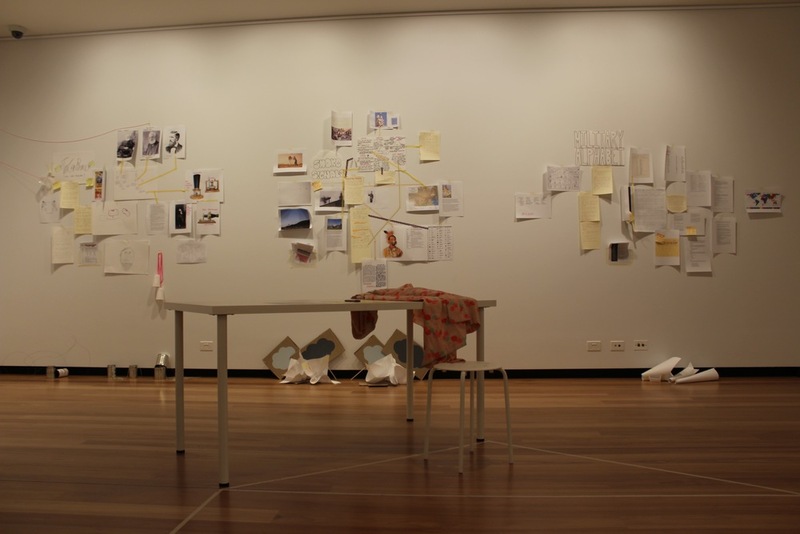 Place Making <Making Place> - After being separated by 30,000kms for the duration of 2014, The OK Collective were reunited 3 days prior to the beginning of their 2 week, experimental residency within the walls of The Town Hall Gallery in Hawthorn. 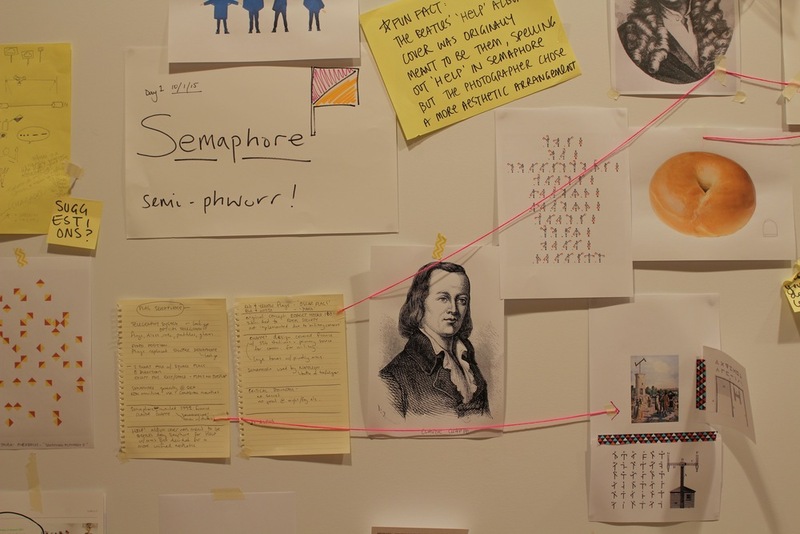 During this time they focused on communication and the acquisition of information and skill in the digital age. Each day, using only the Internet, the Collective researched a mode of communication during the morning hours and then developed props and a playful approach to the communication session which was usually undertaken for at least an hour in the early afternoon. 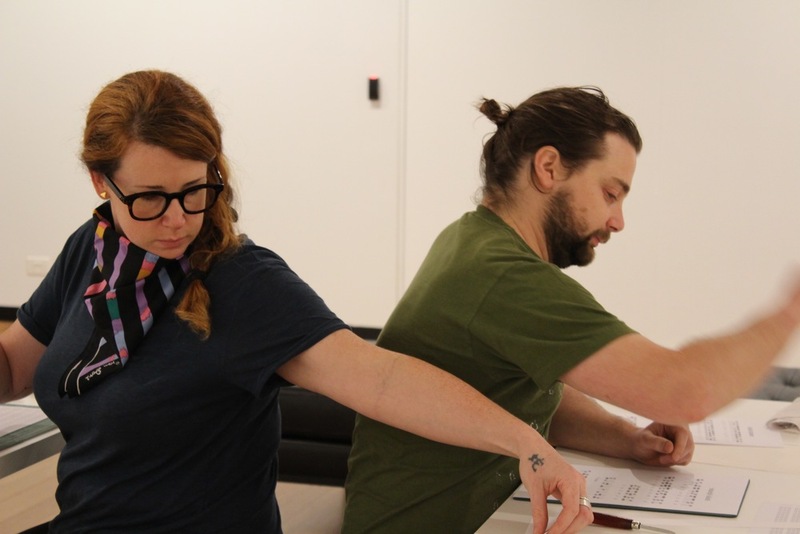 During this time the two participants (and any gallery visitors) were required to communicate only in the newly acquired mode and with whatever props or external premise as defined earlier. Communication modes included, but were not limited to, Braille – communicated whilst sitting back to back and passing notes, Shorthand – communicated through the use of paper planes, Haiku – communicated whilst in traditional Japanese costume and through Rap battle and Smoke Signals – communicated through use of cloud shaped props and a fake paper fire.